Cross Pens Bailey black lacquered pen featuring polished tip. 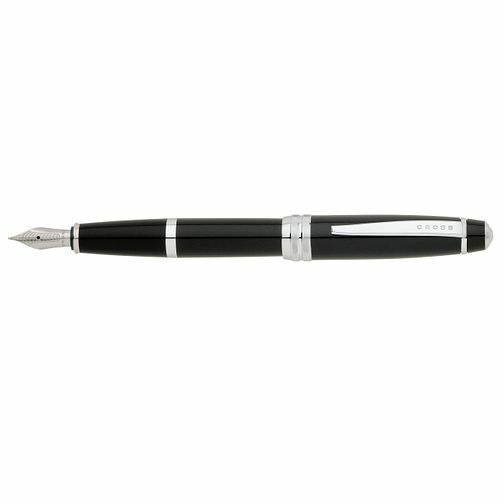 This sleek fountain pen makes a great gift for a special occasion. Creativity, innovation and quality combined in a collection of luxury pens from Cross.